No matter how much you think you hate marketing, growing a successful business is dependent on it. And it can’t be haphazard either. Planning what you will market and how you will do it as well as reviewing how successful it was, and tweaking the ideas for next year are essential to a successful marketing plan. 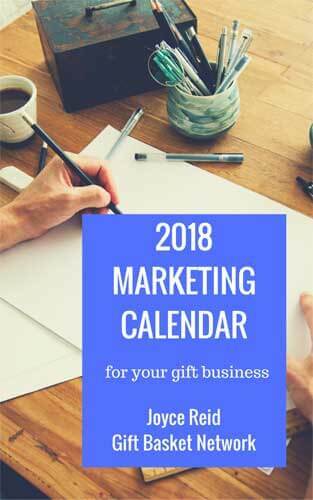 This Marketing Calendar has been created to help you do all that and more. It’s a process that I’ve been using for many years and have taught to my students in my small business classes. I’ve created a process for you to use as you plan your 2018 marketing year. There are work-sheets that you can use each month to help you plan that marketing as well as a list of well-known and lesser known holidays that you can use each month. You’ll find the usual seasonal holidays and events that are routinely used by gift retailers to promote their businesses, sell their products and market to their clients. Also included are monthly, weekly and daily events that you can weave into your own marketing materials and plans.